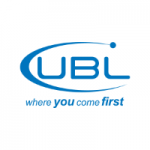 Candidate will be responsible for handling complaints and providing best quality service to international clients of UBL, progressive bank of Pakistan. Great Opportunities who want to make career in customer services. Serving customers and provide best quality services. Performing financial and non-financial activities on customer instructions. Perform duties as per schedules. Should able to communicate through email. Should be creative and enthusiastic. Should have excellent verbal communication. Should have good system knowledge. Excellent Communication in English/Urdu both verbal and written. Arabic speaking individuals will be preferred.